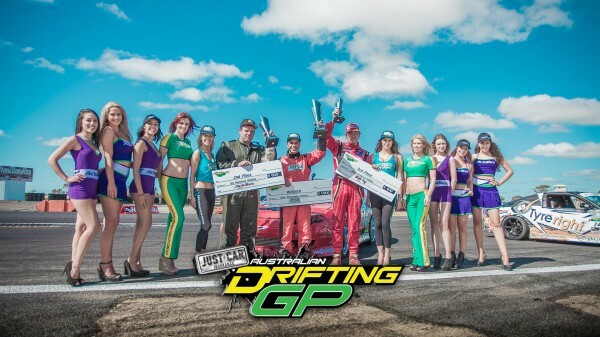 Podium finish at Australian Driftng Grand Prix Rnd 1! 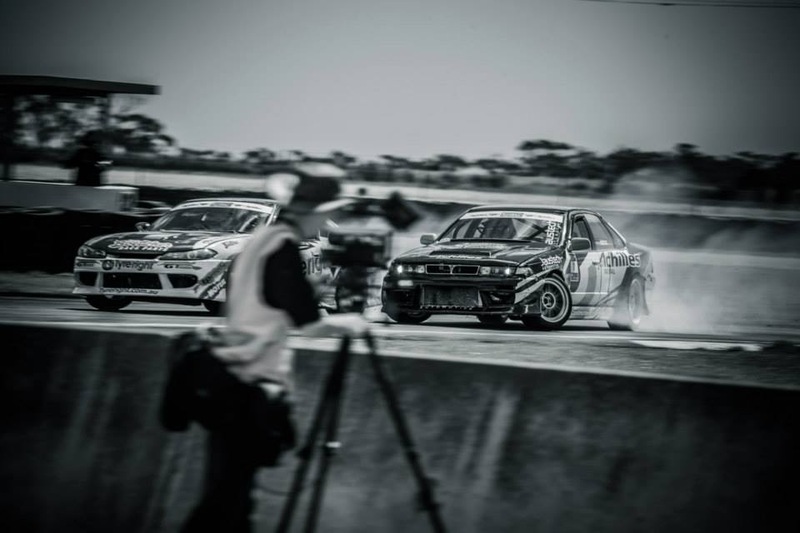 Home » Podium finish at Australian Driftng Grand Prix Rnd 1! 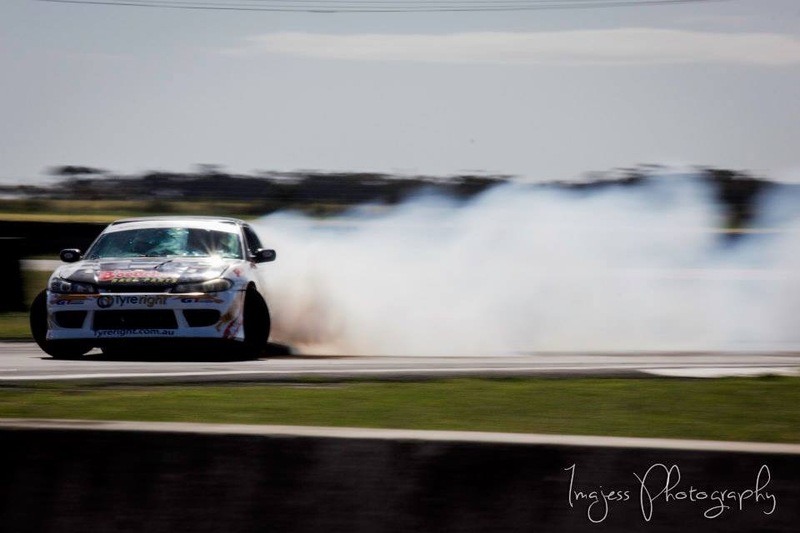 After a few very busy weeks upgrading the Tyreright Sil80, it was time to debut it’s new engine and awesome new look at the first round of Australian Drifting Grand Prix. 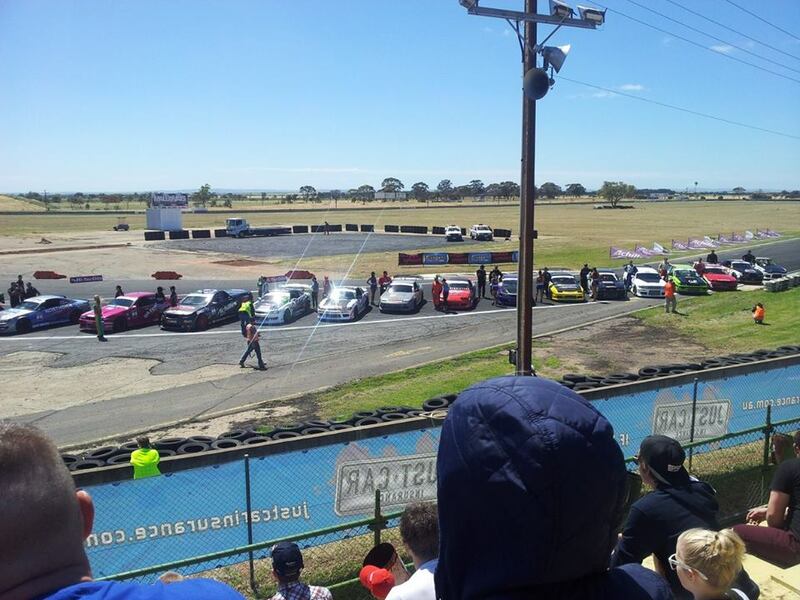 The team took the long drive down to Malalla Raceway in Adelaide and got the car to the track Friday night, ready to go the next morning. First up Saturday was practise. After a few runs we knew there was some work to do to get the best qualifying spot possible. I wasn’t getting the line right and didn’t feel comfortable with the new engine/car combo yet. I spent some time with the team and we laid out a new plan for the next practise session. It worked, I was feeling great on course and the car was feeling super strong. Qualifying was up soon and we were confident of a good position. Later we rolled out for qualifying. The first run went great, felt super solid and I knew I’d ticked the boxes the judges were looking for. Knowing only the best run counted, the next run I went all out pushed a bit too hard unfortunately making an error. I knew I’d netted good score first up, so I was still happy. Later on the results came through, we had qualified 3rd! It’s always my aim to qualify in the top 4 as it gives you the best run possible through the battles. 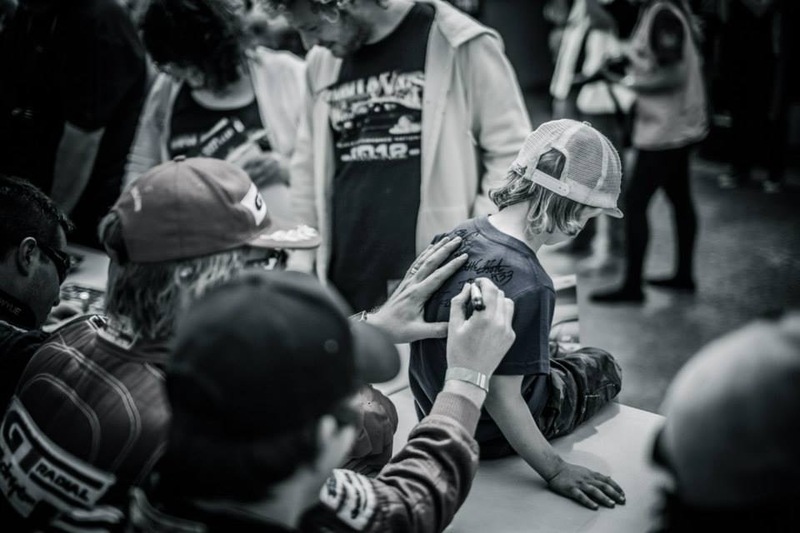 Race day came around and after a strong qualifying result we were feeling great. The battle tree was drawn and we were excited to get underway in the top 32! Due to a few drivers having car dramas, 3 people weren’t competing anymore so the top 3 qualifiers went straight through to the top 16. In the top 16 I was up against young Jack Widdas, a great young driver who I had been watching put down some great runs all weekend. I led first with a solid run and noticed Jack was staying neat and fairly close as well. I knew I’d need to get right on his door to get the win and that’s what I did. I stayed so close, I just touched the rear of his car with my drivers side door mirror and folded it in! No other damage! The judges appreciated it and we were through to the top 8. 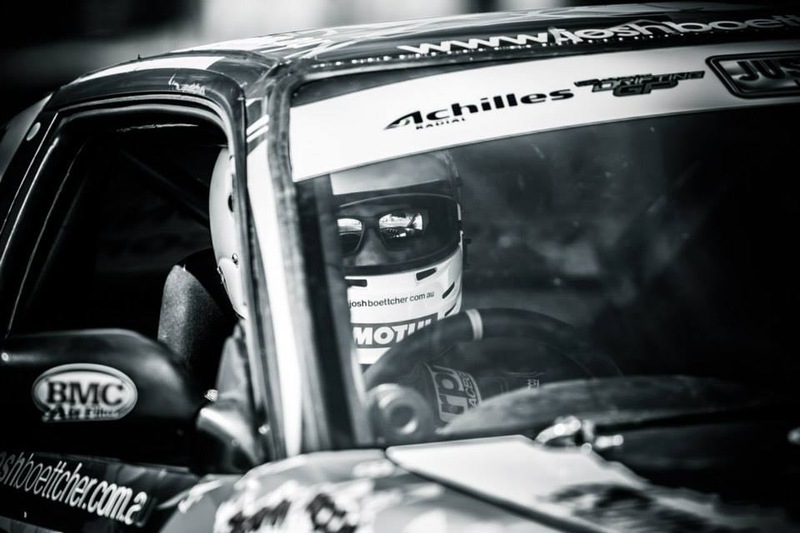 Next up I was against Achillies driver, Anthony Cece. This was Anthony’s home track so I knew it wasn’t going to be easy. The GT Radial SX2s were performing great, they were super predictable and offered plenty of grip all the way through the tread. They meant I was able produce a very tidy run, with plenty of speed and angle! After 2 close runs, I didn’t know which way the judges would go. The call came through and they gave me the win! I found out later my tidy runs were the reason I took the win according to the judges. Next up was top 4 battle against Michael Prosenik. Michael had been quick all weekend and his recent form was very strong. 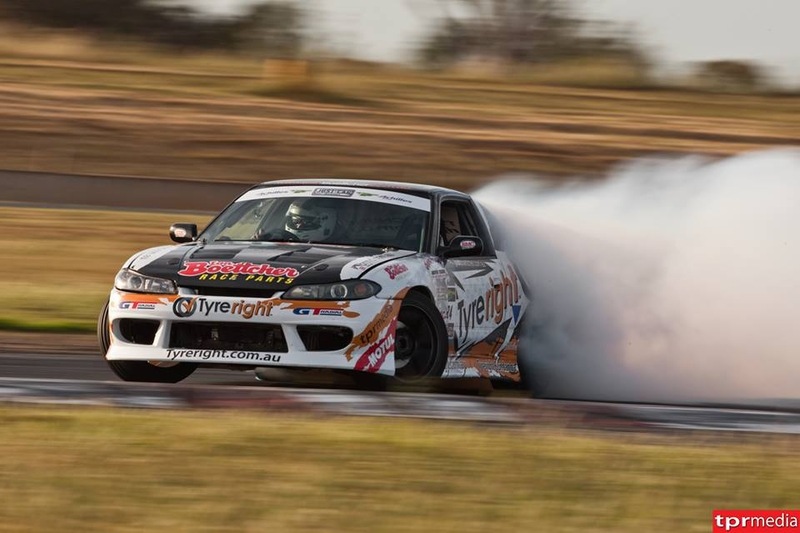 His V8 S13 is a very impressive car, I knew it wouldn’t be easy. In the first run I was chasing. We had wound some extra grip into the car for this run and unfortunately I bogged down a little off the line and he pulled a gap straight away, I tried to make it up but it wasn’t enough. On the lead run I went as hard as I could to try and shake him, but he stayed close. The call was through, Michael would go to the top 2 and I would battle it out for 3rd place with fellow QLDer Nick Coulson. Sadly, Nick’s blown diff made it impossible for him to make it to the line so I decided to take him as a passenger on my bye run! 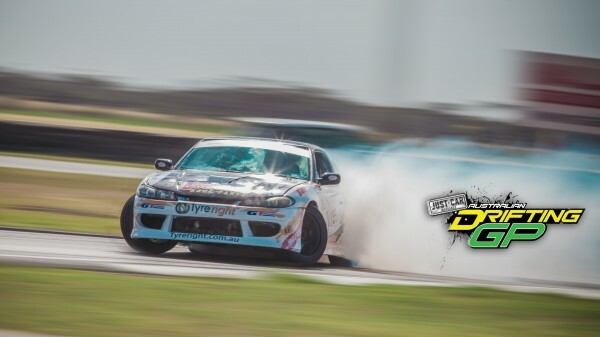 So we took 3rd place at round 1 of the Australian Drifting Grand Prix! A great start to the season for the team after so much hard work. 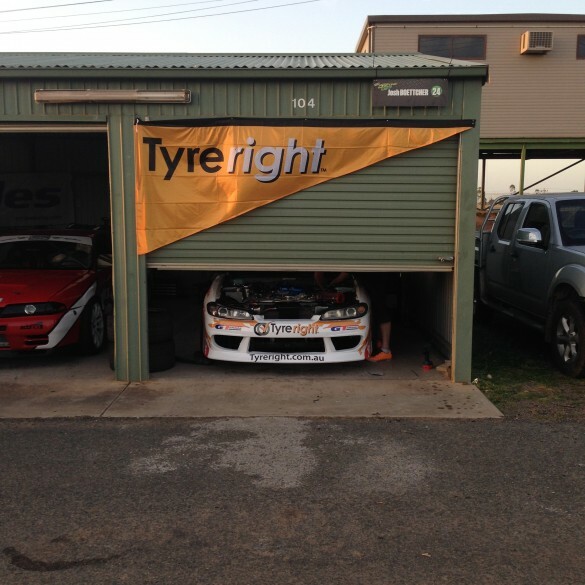 The Tyreright GT Radial Sil80’s revamp was working great first go! We received heaps of compliments on the new look, so a big thanks to the team for getting the body sorted and to Brett from Brett Rogers Motorsport Design for the awesome new wrap along with Tyreright’s support! 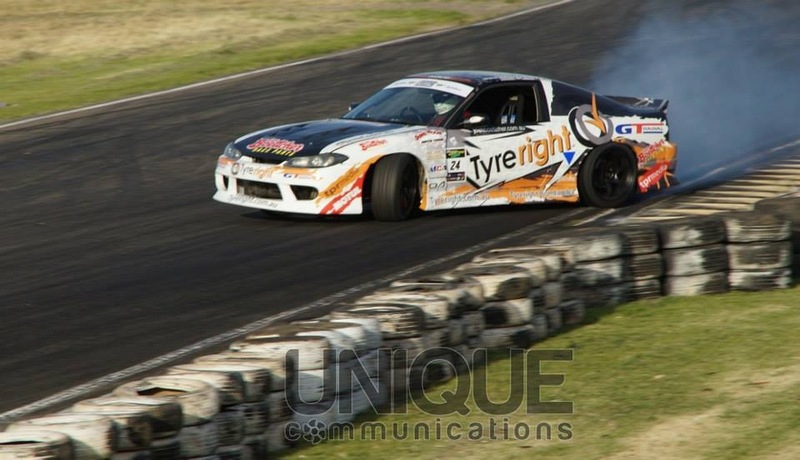 The GT Radial SX2s were awesome once again. 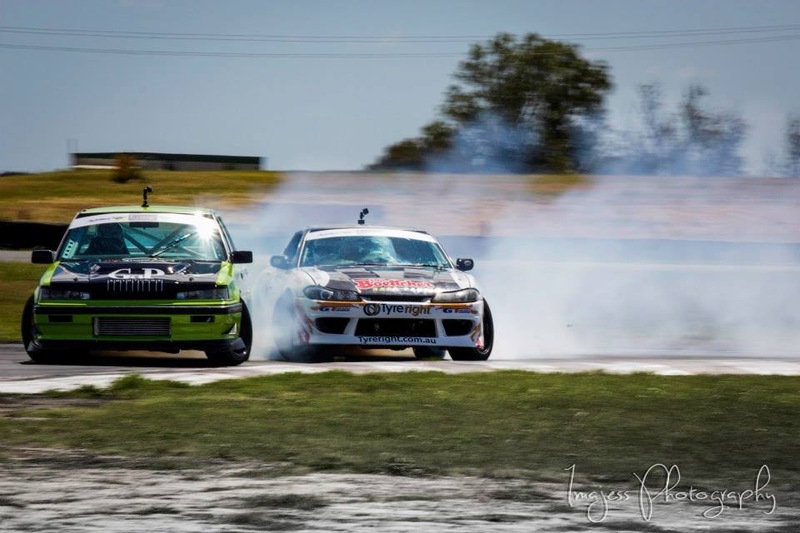 I only used 2 pairs of rears for the whole top 32 including battles, bye runs and a few passenger laps after the event! All while providing awesome grip and drivability all the way down to the canvas! Next stop is only a couple weeks away in Perth, Western Australia. The team can’t wait to get back out there, and with both cars away at the moment, I’m itching to get behind the wheel again! For more details on this event, check out the ADGP website. 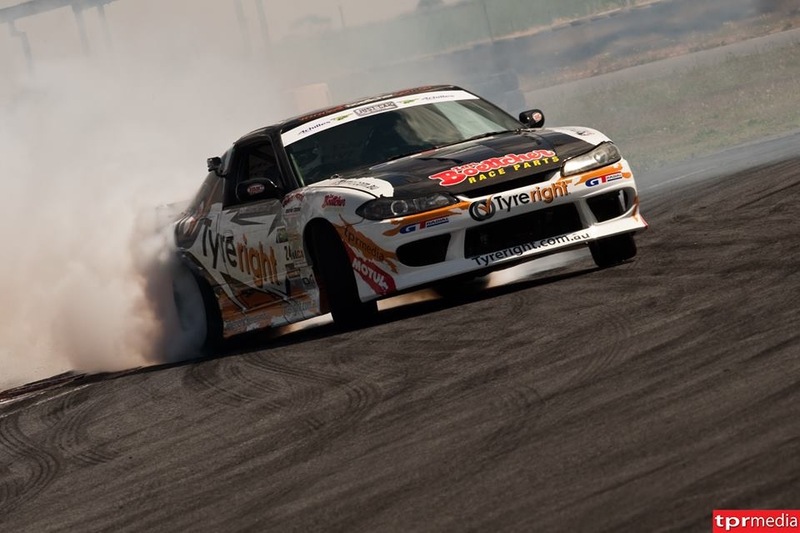 And until next time, STAY SIDEWAYS!